Camogie was introduced to the school in September 2015, and the newly introduced sport has been growing steadily since. Currently there is a team for 1st, 2nd and 3rd years. The team trains in Longford Slashers GAA grounds; and along with learning the skills of the fastest field game in the world, they also have great fun while make new friendships along the way. 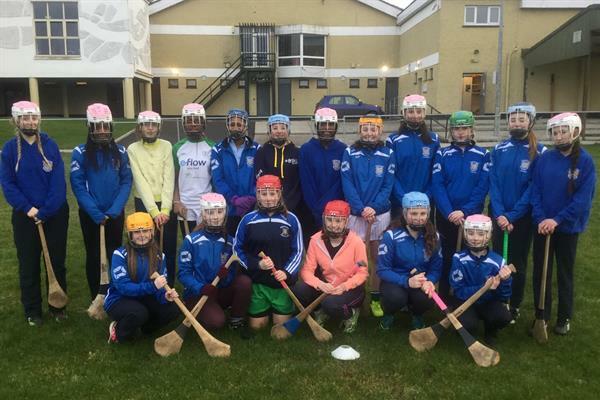 Meánscoil Mhuire organised both indoor and outdoor blitzes throughout the course of last year, the highlight of which was our end of year outdoor blitz in Slashers. Camogie has been a welcome addition to the list of school sports and is another great way for our girls to keep fit and healthy.